With the project opened in MPLAB® X, from the main menu select Tools>Microchip Embedded>MPLAB Code Configurator. 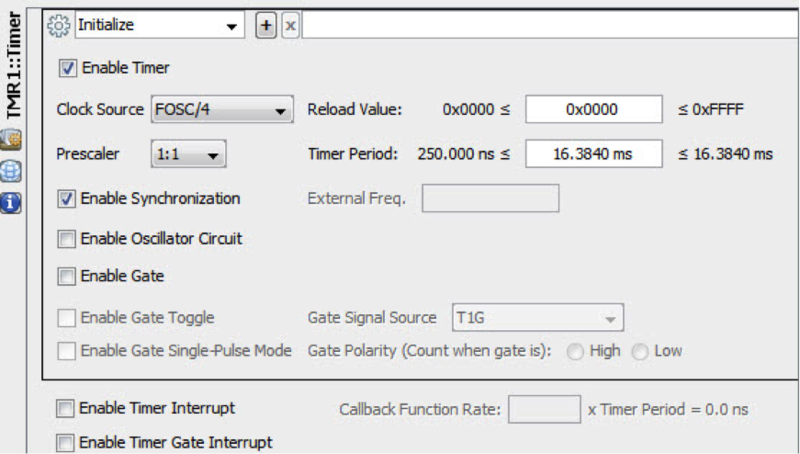 To configure the TMR1 for a 1-millisecond (mS) interrupt using the 16MHz internal clock, edit the “Time Period” to 1.0 mS, check the “Enable Timer Interrupt” box and edit the "Callback Function Rate" to 1. Click the Generate Code button for MCC to create code for TMR1. 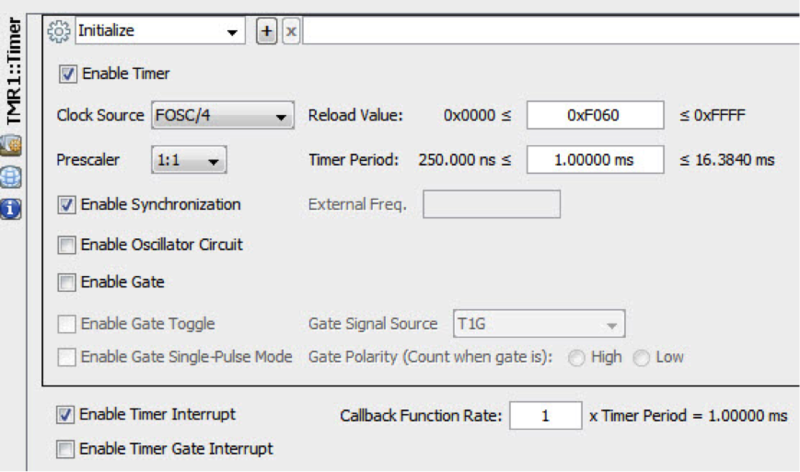 Using the MCC, this method can be used to initialize and create functions for the ADC, PWM, GPIO, Flash Memory and I2C.